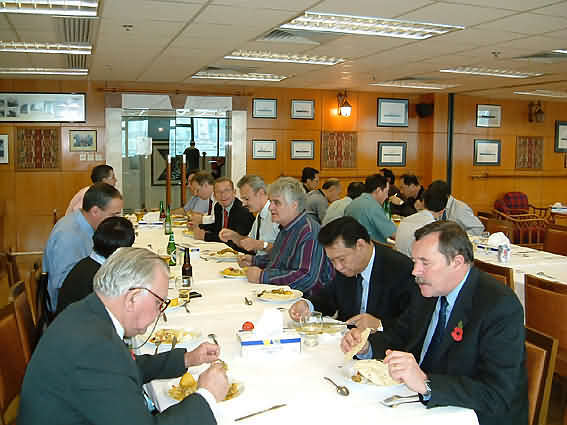 On Friday 12th November 2004, twelve members of the Hong Kong Branch were invited to visit the Marine Police headquarters in Sai Wan Ho, and to join the officers for lunch. Our host, Senior Superintendent Roderick D.G. COLSON, met us on arrival and gave us a tour of the building, which is a fascinating blend of old and new. 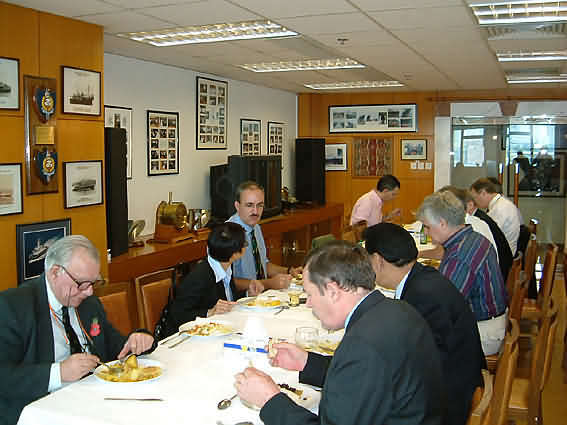 The 'new' is represented by the Control Centre, from where a team of officers monitor all of Hong Kong waters, plus the smaller outlying islands which still form part of the Marine division. With links to the VTC radar system, and a modern tracking system, officers can task their vessels to respond to emergencies or more routine tasks in the most efficient manner. It is an impressive and efficient operation, manned by a remarkably small team whose enthusiasm and willingness to take time to explain things to their visitors was greatly appreciated. 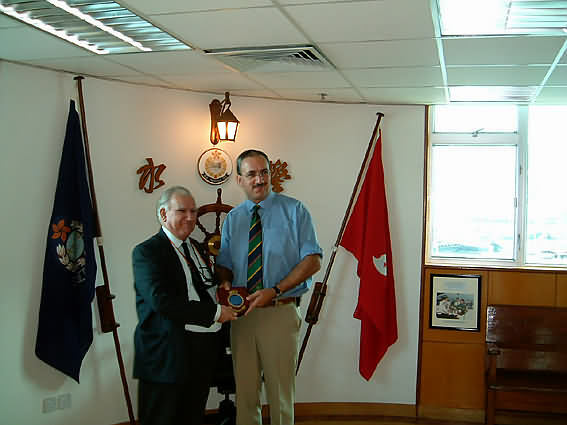 The 'old' is evident throughout the building, which houses an impressive display of Marine Police artifacts. From the splendid models ranged along the main staircase to the historic documents and photographs in the mess, it is a fascinating glimpse of harbour policing through the ages. We were lucky enough to meet Chief Inspector Steeple, whose duties include responsibility for the collection and whose remarks added to our appreciation of our surroundings. Most members were quick to spot a collection of old menus which ranged from a Christmas dinner in the early 1930s to a selection of celebratory meals for royal visitors. This was the perfect appetiser for an excellent curry lunch - chicken and mutton curries with steamed rice and all the condiments. 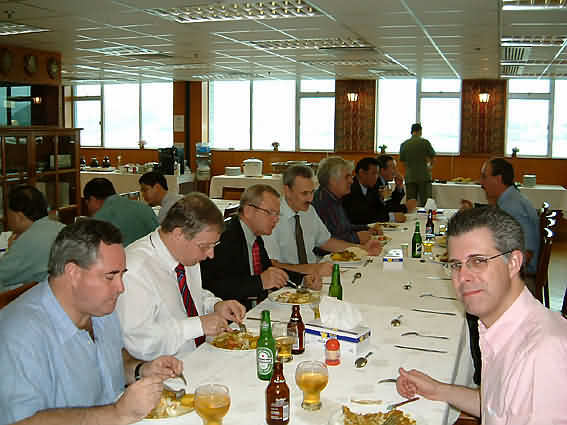 It was the type of 'traditional' curry lunch which is all too rare these days, and which had almost all the guests returning to the buffet for second helpings. 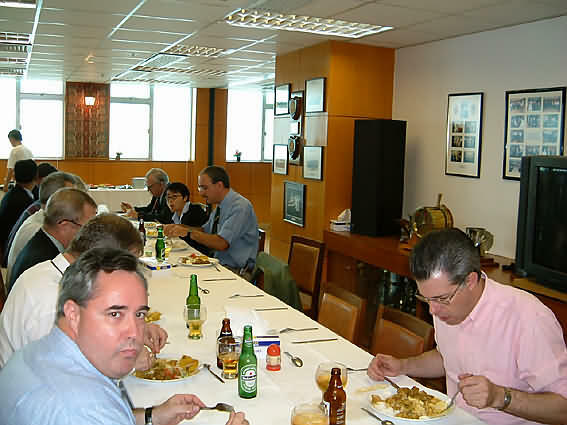 There is no doubt this was one of our most interesting and enjoyable outings, and the presentation of an NIHK plaque for the Mess seemed small thanks for an excellent day with a most impressive body of men and women.